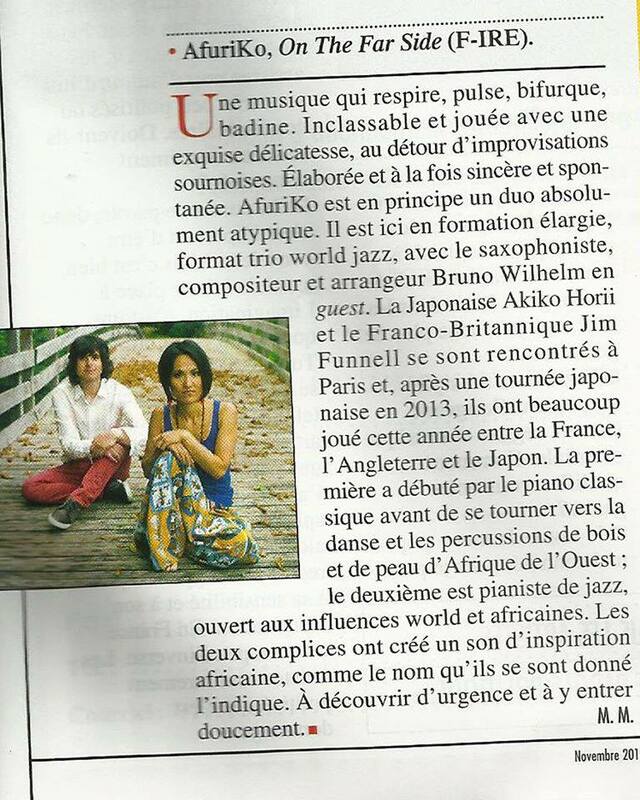 Review of AfuriKo’s debut album On the Far Side in Afrique Asie, a monthly magazine that focuses on the African and Asian continents at large, specializing in political analysis and economical, social, and cultural information. Edited in Paris, the publication is regularly distributed in over fifty countries in Europe, Africa, the Middle East, as well as North and Latin America. “AfuriKo (On the Far Side, F-IRE).